LG is taking the kitchen sink approach with its latest Watch Urbane LTE, veering away from Android Wear to offer more features. 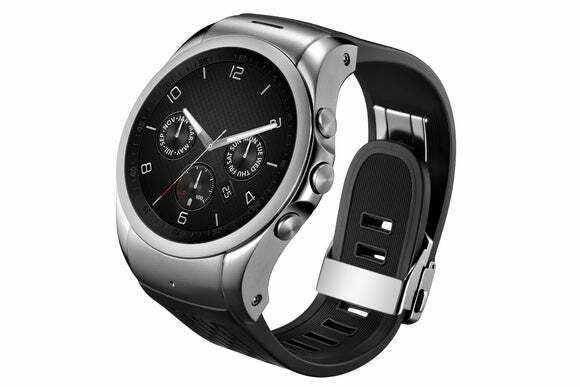 The watch looks similar to the Android Wear-based Watch Urbane that LG announced earlier this week, but has its own cellular connection for phone calls, text messages, and Internet access without a paired smartphone. 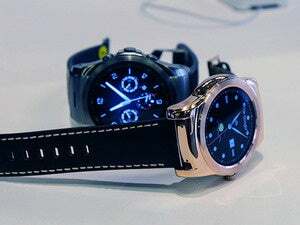 It’s the first smartwatch with 4G LTE connectivity, as previous efforts like the Samsung Gear S have been limited to 3G networks. LG will also include push-to-talk capabilities, but only for wireless carriers that support the feature. The Watch Urbane LTE will have an NFC radio, which could theoretically let users buy things like movie tickets and transit fares with a tap of the wrist. But this sort of thing usually requires partnerships with banks, payment processors, and retailers, and it’s unclear who’s on board or where the wallet service will be available. For that matter, a lot of the software details are still a mystery. LG says it’s running its own operating system, but told The Verge that it’s separate from the WebOS watch that the company showed off at CES. LG is also promising “several thousand watchfaces,” but doesn’t say where they’re coming from. Likewise, LG says you’ll be able to install apps, but hasn’t yet announced a platform for developers. At least the hardware sounds promising. The included 700 mAh battery is 1.7 times larger than that of LG’s existing G Watch R—allowing for “days” in standby mode—and the company has managed to pack in a heart rate monitor and IP67 waterproofing. The round display measures 1.3 inches long with 320-by-320 resolution, and other specs include a 1.2GHz Qualcomm Snapdragon 400 processor, 4 GB of storage, and 1 GB of RAM. LG made the announcement ahead of Mobile World Congress, so we’ll likely find out more about the software and service specifics next week. Why this matters: LG is just the latest smartwatch maker to diversify beyond Android Wear as it looks to add features that Google doesn’t support yet. Samsung has its own Tizen-based platform, while HTC is reportedly using its own software for an upcoming fitness tracker. Asus has also talked about ditching Android Wear due to battery life concerns as rumors point to a Windows-based wearable. Google could very well be working on features like NFC and cellular connectivity support, especially as new processors pave the way, but with the Apple Watch just a couple months away, other companies are getting understandably antsy about how they can possibly compete.